Al Jazeera is a media company owned by the government of Qatar. It has been actively fanning the flames of hatred and violence in the Israel-Arab conflict, most notably, during the July 2017 tensions around the Jewish Temple Mount/ al Aqsa Mosque Compound. The quotes below are from Al Jazeera’s website covering the background and story, followed by comments by First.One.Through. In summary, it is a tale of revisionist history in which Jews are European colonialist who have been stealing Palestinian Arab land for 100 years, and are now poised to continue their illegal activity by taking over Islam’s third holiest site. Unless the Arab world does something. “The last couple of weeks have seen daily demonstrations and confrontations between Israeli forces and Palestinians in the occupied Palestinian territories. “occupied East Jerusalem’s Old City.” Israel reunified the city of Jerusalem in 1967 and annexed the eastern half of the city in 1980. 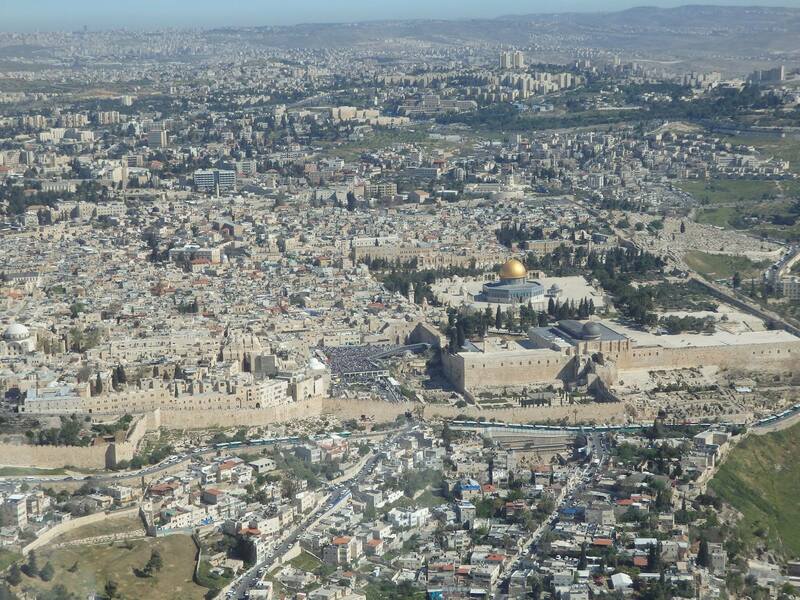 It does not consider there to be an “East Jerusalem” which was an artifact of war waged by Arab countries in 1948. “al-Aqsa Mosque compound.” No mention that the site is the holiest location for Jews, the Jewish Temple Mount. “deadly gun battle” Describing the event as a gun battle between “Palestinian citizens” on one hand and “Israeli forces” on the other is a complete mischaracterization. This was an unprovoked attack by Israeli Arabs on Israeli policemen. “Palestinian citizens of Israel” Roughly 20% of Israelis are Arab, and are called Israeli Arabs. They are not “Palestinian citizens of Israel,” which would imply dual citizenship with a country called Palestine and Israel. “ended in the deaths of two Israeli police officers and three Palestinian attackers” Again, there is no mention that the Israeli Arabs launched the unprovoked attack, and that the attackers were not Palestinian but Israeli Arabs. “measures of control” The Israeli forces installed security measures, not of control. The choice of language of “control” is an attempt to enflame the ire of Palestinian Arabs. “impose control and Judaise the city” Adding to the mischaracterization and seeking to inflame the passions of Muslims, Al Jazeera continued that not only was Israel seeking to “impose control,” but it was seeking to eliminate the Islamic presence at the compound. Al Jazeera turned the episode into a religious war, in which the Jewish State was trying to insert a false history on a purely Islamic holy place. Al Jazeera was both being completely deceitful and actively engaged in promoting a violent jihad. “peaceful demonstrations were violently suppressed by Israeli forces” As Al Jazeera did earlier in the article, it mischaracterized the Arabs as peaceful citizens confronted by Israeli forces. As before, there was no mention of horrific violence perpetrated by Palestinian Arabs, such as the murder of three Israeli Jews who were quietly having dinner in the town of Halamish on July 21. “The following is a breakdown of why the al-Aqsa Mosque compound is a constant point of contention in the Palestinian-Israeli conflict. 1. What is al-Aqsa Mosque compound and why is it important? Al-Aqsa is the name of the silver-domed mosque inside a 35-acre compound referred to as al-Haram al-Sharif, or the Noble Sanctuary, by Muslims, and as Temple Mount by Jews. The compound lies in the Old City of Jerusalem, which has been designated a World Heritage site by the United Nations cultural agency, UNESCO, and is important to the three Abrahamic religions. “important to the three Abrahamic religions” but the holiest location only for one: Judaism. Muslims venerate the cities of Mecca and Medina more than the Noble Sanctuary. “The site has been the most contested piece of territory in the Holy Land since Israel occupied East Jerusalem, including the Old City, in 1967, along with the West Bank and Gaza Strip. However, the conflict dates even further back, to before the creation of Israel. “mainly from Europe” is a dog whistle for people to consider Jews as interlopers and colonialists from Europe. It is a farce. 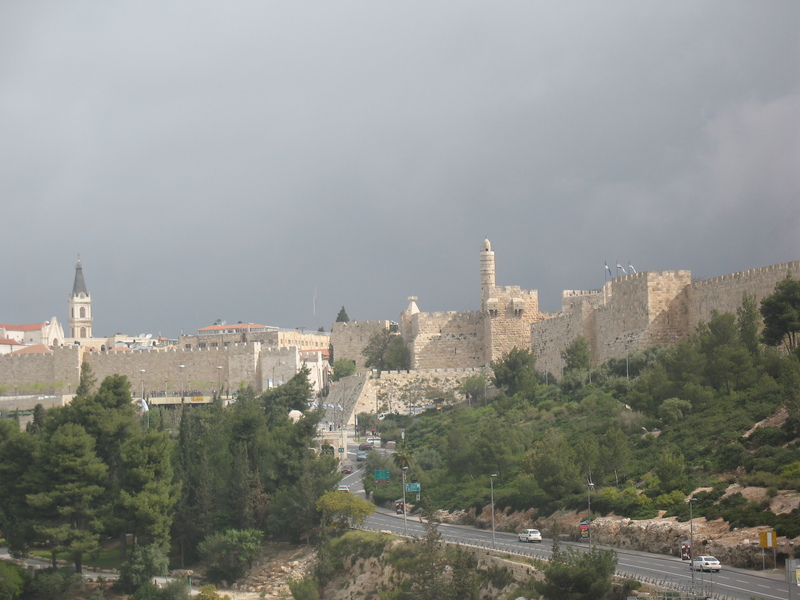 Jewish history in Jerusalem predates the birth of Mohammed by thousands of years. 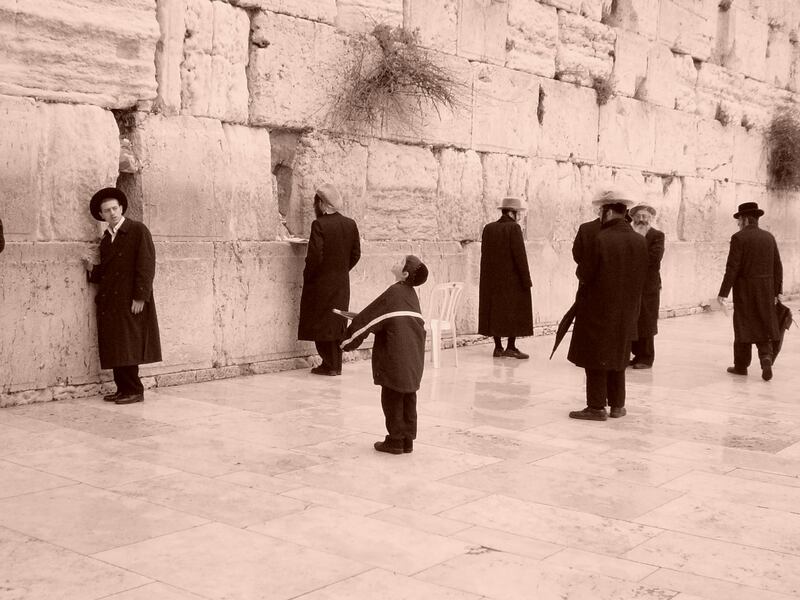 Jews have been a majority in Jerusalem since the 1860s. And most of the Jews in the world lived in Russia and the Arab world in 1947. “Palestinians” in 1947 meant both Jews and Arabs. Palestinians co-opted the word to only mean Arabs when they created the Palestinian Liberation Organization in 1964, to make the Arabs appear as the indigenous population of the land. “Jerusalem” was not the only area that was suggested by the UN to be a “corpus separatum,” a distinct entity to be administered by the UN. It was GREATER JERUSALEM AND GREATER BETHLEHEM that was proposed to be the international Holy Basin. Al Jazeera deliberately omitted mentioning Bethlehem, as Israel has handed it to the Palestinian Authority and does not want to make the PA’s administration of that city a question. “belonged to the international community” Nothing belonged to the international community. The 1947 partition plan was a proposal – and it was roundly rejected by the Arab world. Al Jazeera omits the Arab world’s rejection completely. “war broke out.” The 1948 war did not “break out” on its own; five armies from surrounding Arab countries invaded Israel with a stated goal of destroying the fledgling country. “capturing some 78 percent of the land.” Israel did not capture 78% of the land; it ended up with 78% of the land between the Jordan River and the Mediterranean. This was a small fraction of the land that was ascribed in international law in 1920 to be the homeland of the Jews. The vast majority of the land was given away by Great Britain to the Hashemite Kingdom of Transjordan. “increasing encroachment on the land…. Illegal Israeli annexation of Jerusalem” This is a complete distortion in multiple levels. First, the entirety of the land was proposed to be made as a homeland for Jews according to international law. Second, the incremental land beyond the UN’s 1947 Partition Plan that Israel took in 1948 and 1967 were both as a result of DEFENSIVE WARS. Israel was invaded by five countries in 1948 and took incremental land that did not belong to any nation, and in 1967 it responded to an attack by the Jordanian army and took the land that the Jordanians themselves had illegally annexed. In recounting the history of Jerusalem, Al Jazeera omits that Jordan illegally annexed the West Bank of the Jordan River including eastern Jerusalem, and evicted all of the Jews. “violates several principles of international law.” As described above, Israel took land that had been allocated to it by international law, in a defensive battle. This does not run afoul of international law. However, the Jordanian action of expelling all Jews from the West Bank and eastern Jerusalem in 1949 is contrary to the Geneva Convention. “controlling and Judaising the Old City and East Jerusalem.” As detailed above, Al Jazeera seeks to inflame the Muslim world against the Jewish state by using language like “controlling and Judaising the Old City and East Jerusalem.” It does this by ignoring the 3700 year history of Jews in Jerusalem and the unique relationship that only Jews have towards the city, such as being the only people that pray towards Jerusalem and make pilgrimages three times a year to the city. Further, Jews have been a majority in Jerusalem since the 1860s. “no country in the world recognises Israel’s ownership of Jerusalem.” The Oslo II accords between the government of Israel and the Palestinian Authority recognized Israel’s control of Jerusalem, as did the 1994 peace treaty between Israel and Jordan. “hold only permanent residency status, not citizenship” Palestinians in Jerusalem are free to apply for Israeli citizenship and thousands have already done so. “Israel has embarked on a quiet deportation of the city’s Palestinians.” The growth in the number of Arabs in Jerusalem surpasses the number of Jews and surpasses the growth of Arabs in almost the entire region. “Israel… built… Jewish-only illegal settlements…, while demolishing [Palestinian] homes as punishment for building illegally.” Al Jazeera played cute – and inconsistently – with the term “illegal.” It contended that Israel builds for Jews illegally but demolishes Arab illegal homes. In truth, Israel demolishes both Jewish and Arab homes that are built illegally according to Israeli law. It is Israel that is in charge with approving permits in its territories. The Jewish “illegal settlements” that Al Jazeera referenced are not illegal under Israeli law, but considered so by some countries. The real racist laws related to living in Jerusalem are from the Palestinian Authority, which demands a country free of any and all Jews. Not mentioned by Al Jazeera. For Muslims, the Noble Sanctuary hosts Islam’s third holiest site, the al-Aqsa Mosque, and the Dome of the Rock, a seventh-century structure believed to be where the Islamic Prophet Muhammad ascended to heaven. “Islam’s third holiest site” It is worth noting that Al Jazeera knows how to count and the importance of ranking as it wrote that compound is Muslims THIRD holiest site. However, it deliberately did not mention that it is the HOLIEST SITE FOR JEWS! No accident. “Jewish law and the Israeli Rabbinate forbid Jews from entering the compound and praying there” Jews prayed on the Temple Mount until they were kicked off by Suleiman I around the year 1560. Almost all rabbis believe that it is permissible to ascend the Temple Mount, but should avoid entering the Dome of the Rock which was built on top of the location of the Temples. Did Al Jazeera mention that every Jew in the world prays in the direction of the Temple Mount while all Muslims pray in the direction of Medina? No, that would undermine its argument that the site is uniquely the holiest spot for Jews. “believed to be the last remnant of the Second Temple” The Western Wall is simply the retaining wall for the Temple Mount built by King Herod 2,000 years ago. It is NOT part of the Second Temple itself. “Waqf… would have control… inside, while Israel would control external security” The agreement was that the Waqf would handle non-security matters while Israel would handle all security matters – inside and outside of the compound. “aim to rebuild the Third Jewish Temple” The goals of most of the Temple Mount activists are the basic ability to pray at their holiest site, not to rebuild the Temple nor destroy any Muslim sites. Al Jazeera’s statement is deliberately provocative. “funded by members of the Israeli government” The groups are NOT funded by the government but by individuals. “Jewish settlers who live in the occupied Palestinian territories” There are basic visiting hours established for non-Muslims to visit the Temple Mount, as has been the case for centuries. There is no BDS (boycott, divestment and sanctions) against allowing visitors because of where they live – as it should be. “under police and army protection” The police and army protection because the Waqf has allowed “Mouraboutin” gangs of men and women to harass and attack Jewish visitors on the Temple Mount. “stirring Palestinian fears of an Israeli takeover” Al Jazeera’s distorted narrative has led Palestinians to fear an Israeli destruction of al Aqsa, inverting the facts. “In 1990, the Temple Mount Faithful declared it would lay a cornerstone for the Third Temple in place of the Dome of the Rock, leading to riots and a massacre in which 20 Palestinians were killed by Israeli police. In 2000, Israeli politician Ariel Sharon entered the holy site accompanied by some 1,000 Israeli police, deliberately reiterating Israeli claims to the contested area in light of then Prime Minister Ehud Barak’s US-brokered peace negotiations with Palestinian leader Yasser Arafat, which included discussions on how the two sides could share Jerusalem. Sharon’s entrance to the compound unleashed the Second Intifada, in which more than 3,000 Palestinians and some 1,000 Israelis were killed. Al Jazeera cherry-picks three incidents over 27 years to lead people to believe that there is Israeli action to takeover the Temple Mount and build a Third Jewish Temple. It does not post any history of Israeli laws protecting Islamic holy sites. It does not mention that the Ariel Sharon visited the Temple Mount during regular visiting hours and never entered the al Aqsa Mosque and that the Second Intifada was launched by Arafat (fungus be upon him) because he could not bring himself to the necessary compromises to conclude a peace deal. “the separation wall, built in the early 2000s” The Security Barrier was built by Israel in reaction to the horrific violence from Palestinians against Israeli citizens in the Second Intifada unleashed by Arafat (fungus be upon him). Al Jazeera called it a “separation wall” to make it appear that Israel is trying to cut off access to al Aqsa. Untrue. “pass through security checks” As described above, it has long been established in agreements and law that Israel handles security. Added measures are taken when there is violence. “violation of the freedom to worship” The only true violation to the freedom of worship and basic human rights is the denial of Jewish prayer at their holiest site. “Israel removed all security measures” Abbas wanted the INCREMENTAL security items removed, not ALL security measures. This is not a purge of Israeli security control over the Temple Mount which is the established agreed upon status quo. “clashes broke out” Palestinian Arabs rioted and went on a rampage to kill Jews; clashes didn’t simply break out of the thin air. Arab rioters attacked Jews at the Western Wall on the Jewish holiday of Tisha B’Av and the rioters retreated into the al Aqsa Mosque. Al Jazeera inverted the facts to make it appear that the Jews stormed the mosque as part of a holiday ritual. By September 2015, Israel labelled the Mourabitoun that continued to attack Jews on the Temple Mount an illegal organization. “Jews tried to enter the mosque complex” Jews did not enter any mosque; they came to their holiest location during regular visiting hours, as they had every right to do. Visiting the site during Tisha B’Av has long been a Jewish tradition. “contravention of tradition” Israeli security forces had recently suspended the visitation rights of non-Muslims during the end of Ramadan because of Arab violence. This has not been a long-established tradition. It would appear that Al Jazeera likes some changes to the status quo if it impedes on the rights of non-Muslims. “Israeli settlers” Al Jazeera time-and-again refers to Jewish visitors as “settlers” to try to make their actions appear as illegal. 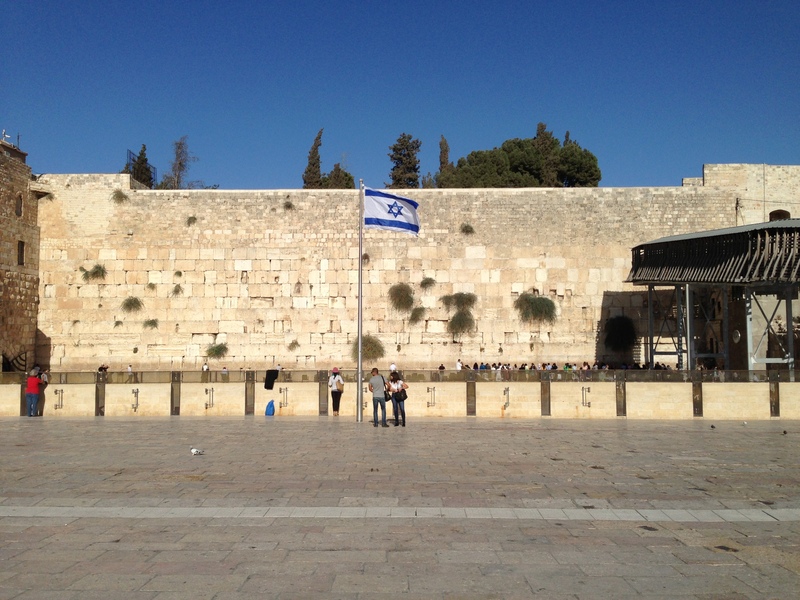 They are ordinary Jews seeking a legal right to visit, and basic human right to pray at their holiest site. The clashes were precipitated by the illegal Mourabitoun, funded by Arab groups like the northern branch of the Islamic Movement, which Israel finally labelled an illegal group in November 2015. In recalling “recent tensions,” Al Jazeera neglects to mention Arab violence, even the attack of three Israeli Arabs that killed Israeli border policemen on the Temple Mount in an unprovoked attack which set the latest crisis afire. Al Jazeera’s narrative continued to show Israelis amassing force to make the Israeli government appear as unleashing an assault as opposed to providing security in light of Arab violence. “symbolic part of the conflict” Is Al Jazeera stating that the conflict is really a war over religions more than about land? “significant for Muslims especially” No, the site is especially significant only for Jews, which Al Jazeera doesn’t mention at all. “The issue of al-Haram al-Sharif stands as a symbolic, but very strong catalyser of the routine of injustice and oppression that Palestinians in Jerusalem are facing, and that causes a continuous eruption of popular anger and uprisings,” Yara Jalajel, a former legal adviser to the Palestinian minister of foreign affairs, told Al Jazeera. “very strong catalyzer” Al Jazeera knows that the Temple Mount is a “strong catalyzer” of Arabs and Muslims around the world, so it fans the flames to increase violence against the Jewish State while promoting its viewership. “With more restrictions placed on Palestinian access to the compound and ongoing calls by Israeli religious groups to allow Jews to pray at the site, many Palestinians fear a possible division of the compound. “Palestinians fear a possible division of the compound.” The reason why Palestinians might fear a division of the compound is due to the history of Cave of the Jewish Patriarchs in Hebron, which Al Jazeera never mentioned. That site – the second holiest for Jews – had banned Jewish prayer for centuries while under Ottoman and Jordanian control. When Israel took control of the site in 1967, it opened the site to Jewish prayer. Today, there are distinct time for Muslims and Jews to pray and visit the site. It has largely been a peaceful coexistence. That is seemingly a heretical solution for Jerusalem for the promoters of lies and Jihad at Al Jazeera. Al Jazeera not only lied about the history of Jerusalem, but it sought to incite a global jihad against the Jewish State as it tried to portray Israel as attacking al Aqsa. It actively contributed to murder and terrorism in its actions. This entry was posted in Israel and tagged Al Jazeera, Jerusalem, Mourabitoun, Temple Mount by First.One.Through. Bookmark the permalink.